| In a large pool of B lymphocytes, each is specific for one antigen. ^ When an antigen binds to a B cell, the B cell divides. 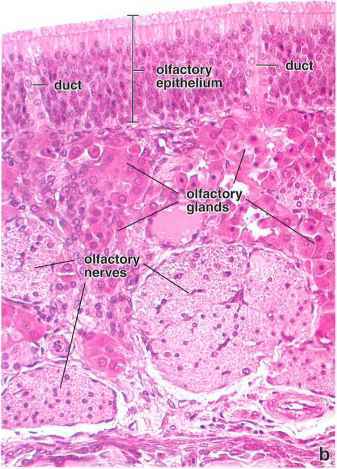 ^ Antibodies are specific for the antigen. | .and gives rise to a clone of B cells, all specific for the same antigen. This proliferation of lymphocytes is the primary immune response. 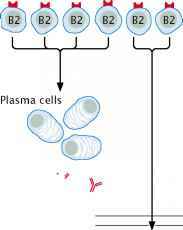 ^ Some cells differentiate into antibody-secreting plasma cells.